If you find yourself writing the same emails over and over again and wish you could schedule reminders How to Integrate Google Calendar Into Thunderbird How to Integrate Google Calendar Into Thunderbird You're using Thunderbird and Google Calendar and you wonder how you can unite the two? We show you how to fully integrate Google Calendar with Thunderbird. Read More and follow-ups, it may be time to set up auto-responses and scheduled emails. 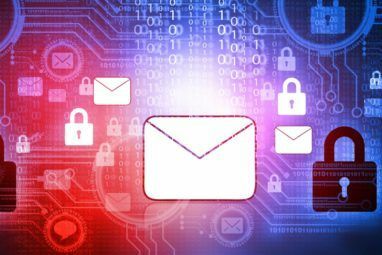 We’ll show you how to do this in Mozilla Thunderbird, the cross-platform, free, and open source desktop email client. Note: We’ve used the Windows version of Thunderbird. However, our instructions equally apply to the Mac and Linux versions, although the interface may differ slightly. 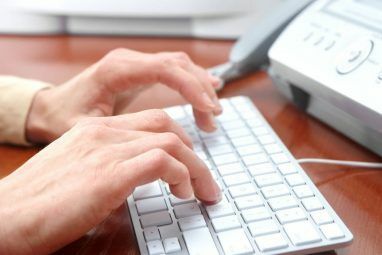 Set up an out-of-office responder How to Set Up an Email Out of Office Responder Before You Go on a Trip How to Set Up an Email Out of Office Responder Before You Go on a Trip Wouldn't you love to go on vacation knowing you don't have to check your email? If you can't rely on an assistant while you're away, turn to autoresponders in Gmail. 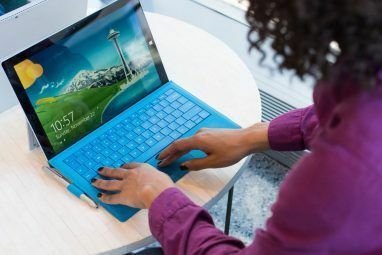 Read More while you’re on vacation (how to do this in Outlook How To Set Up An Email Out Of Office Responder In Outlook How To Set Up An Email Out Of Office Responder In Outlook What happens when you combine a two week vacation with a busy work life? You'll have a giant project when you return home: emails! Wait - why not automate some of it for you? Read More ). Confirm you received the email and will respond asap. Now let’s see how you can create an auto-response in Mozilla Thunderbird. To create your template, use the Menu Bar to go to File > New > Message or — if you’re using the Mail Toolbar — click the Write button to start a new email or simply press the keyboard shortcut CTRL + N (Command + N on the Mac). Next, compose the message as if you were writing an ordinary email. Remember to add a Subject! Now save your message as a template. In the email’s Menu Bar, go to File > Save As > Template. or — within the Composition Toolbar — expand the Save drop-down and click Template. Write as many templates as you need, then proceed to create your filters How to Set Up Email Filters in Gmail, Yahoo Mail, and Outlook How to Set Up Email Filters in Gmail, Yahoo Mail, and Outlook Email filtering is your best tool in keeping your inbox neat and organized. Here's how to set up and use email filters in Gmail, Yahoo Mail, and Outlook. Read More . Tip: If you cannot see any of the menus or toolbars mentioned above, right-click an empty spot of a visible toolbar to see which additional menus are available. Set a checkmark next to any toolbars you’re missing to make them show up. Back in your Thunderbird Menu Bar, go to Tools > Message Filters… to open the respective window. In the Message Filters window, click the New… button to start setting up a new filter. Note: If you use multiple email accounts in Thunderbird, be sure to set the email address your filter should apply to under Filters for. Start by setting the Filter name. This should be something you can easily recognize, in case you need to edit your filter later. Under Apply filter when, instruct Thunderbird when to run the filter. For example, if you’d prefer to see all mail before sending an automatic response, choose Manually Run. The advantage of running filters manually is that you can apply them to selected folders only. To filter all incoming mail, select Getting New Mail. Whether or not this is done before or after Junk Classification doesn’t matter, unless you can’t get Thunderbird to filter the body correctly; in that case, go with Filter after Junk Classification. Note: You can also set filters to run when Archiving or After Sending emails, meaning you can use filters to organize your mail. For our auto-responder, these options are less interesting. Now it’s time to set your rules. First, decide whether the filter should Match all of the following or Match any of the following rules. Then compose your rules. The filter criteria can apply to anything from email subject to who was CCed and you can even create custom criteria. For our purpose, Subject and Body should suffice. Click the + icon to add additional rules. Clicking the — button will delete the respective rule. Note: You can also make Thunderbird Match all messages, which won’t allow you to set any rules. This feature is useful if you need to bulk-process incoming email from a specific address (chosen in the first step). For example, you might have a spam email account and want to automatically delete all incoming email. Finally, Thunderbird needs to know what to do with messages that match your rules. Under Perform these actions you can select Reply with Template, then choose your template. You can also set additional rules, such as moving the message to a specific folder. When you’re happy with your filter, click OK to save. Tip: You can set up multiple stages of filters to work together. Below is a screenshot of all available filter criteria and actions. For example, you could set up automatic filters to move all incoming messages into folders, based on your rules, but without triggering an auto-response. Now you have time to double-check what’s in those folders and move mail in and out of as needed. Finally, you can manually run various auto-response filters on specific folders. Another unique feature that you can enable in Thunderbird is creating scheduled emails. It means Thunderbird will send those emails on a specific time in the future. This feature would be really useful to send reminders 9 Instant Ways to Turn Your Emails into Tasks 9 Instant Ways to Turn Your Emails into Tasks You can't stop to-do-type emails from ending up in your inbox, but you can turn them into tasks to manage them better. Here are some tips to turn emails into tasks. Read More , either to yourself, your friends, or to groups of people. Since this is not a default Thunderbird feature, we’ll need to enlist an add-on called Send Later. This add-on is similar to Boomerang for Gmail Schedule Emails to Send Later with Boomerang for Gmail in Chrome Schedule Emails to Send Later with Boomerang for Gmail in Chrome Gmail is in ingenious tool for managing emails. Much of what it is lacking per default, is covered by Gmail Labs apps or browser add-ons. Boomerang is a browser add-on available for Chrome that let's... Read More , except that it’s free and unlimited. The easiest way to install a Thunderbird add-on is directly through the Add-ons Manager. Click the Thunderbird Menu icon (three vertical lines) and select Add-ons. In the Add-ons Manager, switch tot he Extensions tab. Locate the search box at the top right and search all add-ons for Send Later. Click Install next to your match. Your add-on will download and install in one step. Click Restart now to complete the installation. Before you head off to use the add-on, return to the Add-ons Manager > Extensions and open the Send Later Options. Here you can set up your Send Later preferences, including General settings, custom keyboard Shortcuts for different send delays, and Advanced options. Tip: Select “Send” does “Send Later” if you want to be able to cancel a message you accidentally sent How to Recall an Email in Outlook After You Sent It How to Recall an Email in Outlook After You Sent It Did you ever hit send and regret it moments later? We've all been there, wishing we could undo send. We show you how to recall an email in Outlook or delay sending in Gmail. Read More . Next time you’ve written an email you want to send later, go to File > Send Later or press CTRL + SHIFT + RETURN. In the Send this email later window that pops up, set the day and time under Sent at, pick a Recur mode if you want this email to repeat, and choose one of the other options as needed. These two features should help you keep your emails under control. 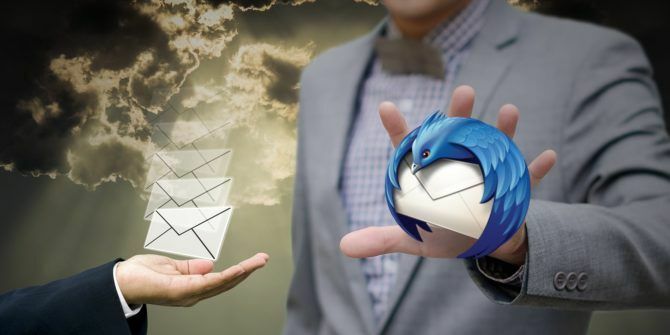 They also highlight Thunderbird’s big advantage over webmail clients: an extensive add-on repository 10 Must-Have Thunderbird Addons (+ 25 More) 10 Must-Have Thunderbird Addons (+ 25 More) Thunderbird lives on. This desktop email client thrives because of its many customization options. These must-have Thunderbird addons will help you make the most of it. Read More that contains a solution for whatever you want to do. How do you use filters and add-ons to organize your email in Thunderbird? Share your tricks and which add-ons you like best in the comments below! Originally written by Jeffry Thurana on January 19, 2011.
is there a way to remove the word "auto" from the subject line when using the Auto-Response function? I want this to looks as "human" as posible. None of these comments mention that Send Later uses legacy software which collects all of your Thunderbird data. From the Add-On page: "Please note this add-on uses legacy technology, which gives it access to all browser functions and data without requesting your permission." Thank you for the heads-up, Jack! After did all steps for setting up autoresponder, I close thunderbird and send a test message from yahoo to my thunderbird email, works like a charm. I receive auto-response message as expected. I use thunderbird client for a PC at work and have a linux mail system, so practically setting up auto-responder in thunderbird I use auto-respons function from the server, so no need to keep thunderbird/PC running - this is my case. If you don't have a dedicated email server then your PC and thunderbird client must be functional and UP. This may help other ppl to set up and use this auto-responder function of thunderbird. I personally don't like outlook ... is just a question of taste. Doesn't work. No reply sent. Lovely idea... But doesn't it mean leaving your computer on while you're away on vacation? Yep, I don't think how this would be possible without the computer staying on with Thunderbird running. Not an option for many who need to make use of those features I suppose. It does. The point is that this feature is very useful if you need to set up auto replies for other purposes. Great article, Jeffry! Love your screenshots and clear explanation. I wonder if WLM 2011 has the same feature.. any possibility to discuss it in the future?? A quick search told me that there's a small freeware that will enable auto reply feature in WLM. I don't know whether this one will work with WLM 2011, but it's worth trying.